Barnabee – Available for Adoption! Barnabe is a new little guy into rescue over the weekend. He is a year old so he is all puppy still! Once he is placed into a foster home, we will add more pictures and bio information. Barnabee didn’t even get an album on Facebook before he was adopted! 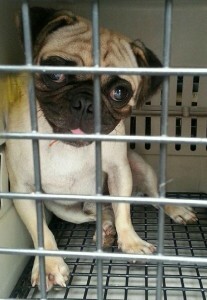 A puppy mill survivor will now know what the good life is all about! Congratulations Barnabee! !